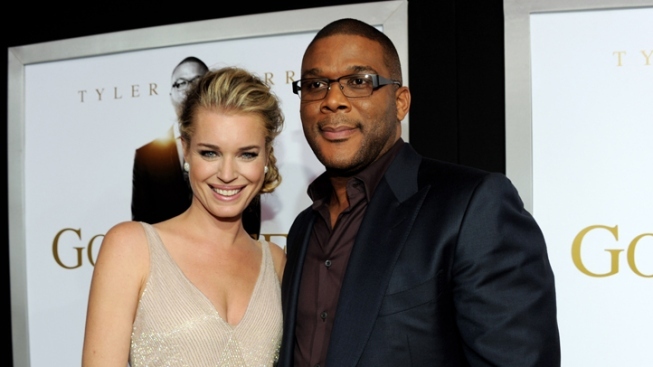 Look to the sky Sunday, and you might see Tyler Perry. Well, maybe. According to the D.C. Film Office's production alerts page, a crew will shoot a sequence in Georgetown for the director's upcoming film The Marriage Counselor -- from a helicopter. The chopper will follow a truck from the Key Bridge through Georgetown. The shoot is scheduled to take place Sunday 7 a.m. to 9 p.m.
"The Marriage Counselor" is based on Perry's 2008 play of the same name, and stars Jurnee Smollett. Also, in a supporting role: Kim Kardashian, a casting choice that some fans, apparently, felt didn't quite square with Perry's morality tales. Now you know. Tyler Perry to Shoot in D.C. Sunday…From the Sky was originally published by Washington City Paper on Feb. 22, 2012.